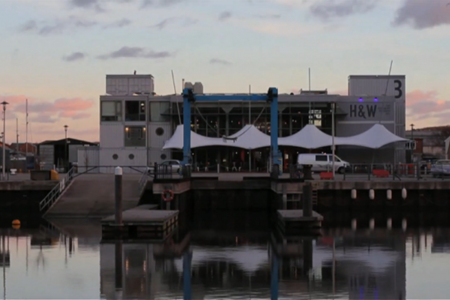 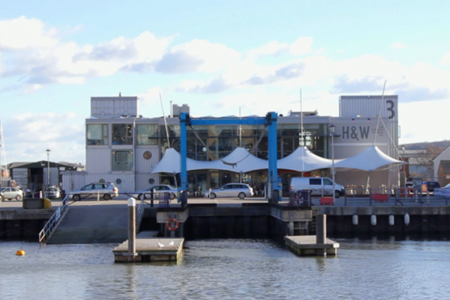 This new bar and restaurant is made from 28 recycled shipping containers! 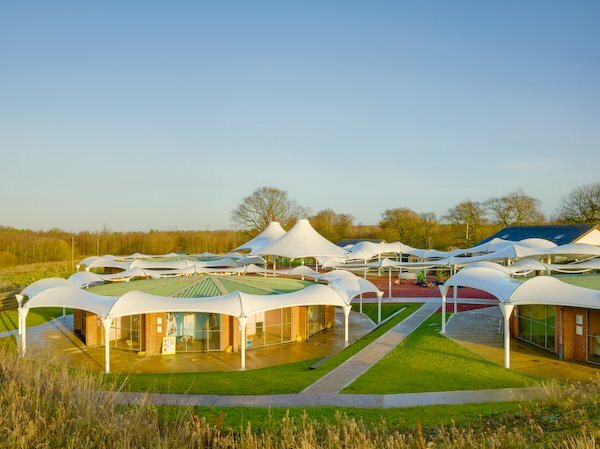 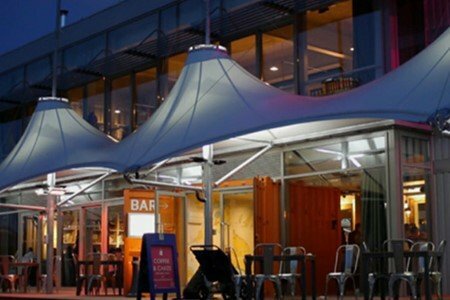 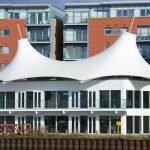 The unique hotel is fronted by a tensile fabric canopy that represents a huge ship under sail. 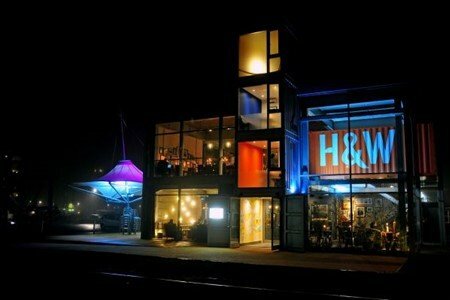 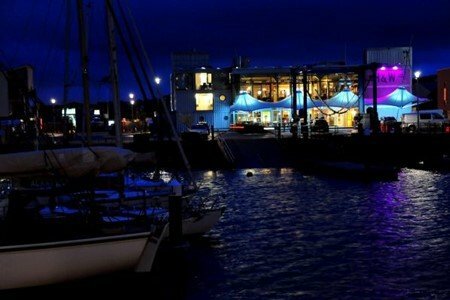 The architect’s nautical scheme for a “Shipping Container Hotel”, with views across the Bristol Channel to the Severn Bridge, included the creation of a pub and a 120-seat restaurant as well as the 45-room hotel. 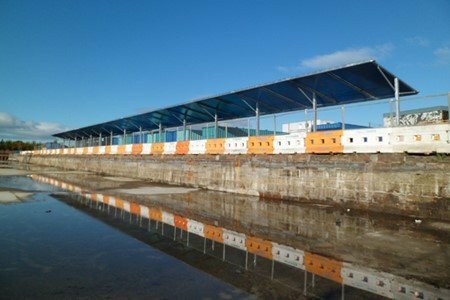 Each of the guest rooms, fitted out like a ships cabin, arrived on site ready-made inside the steel containers which were then literally stacked one on top of another. 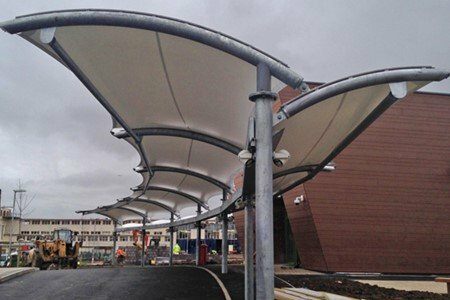 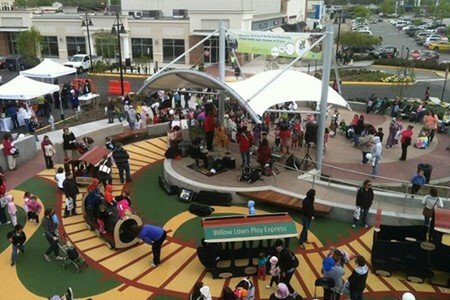 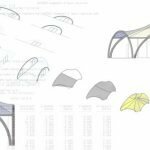 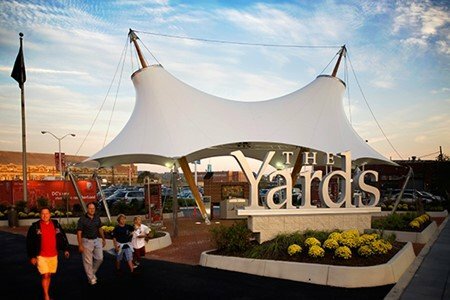 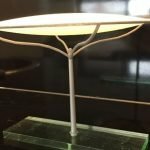 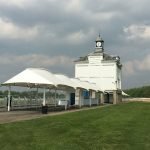 In line with the industrial boatyard theme, the fabric canopy was also a quirky design, with its supporting masts leaning like those of a ship keeling in high winds. 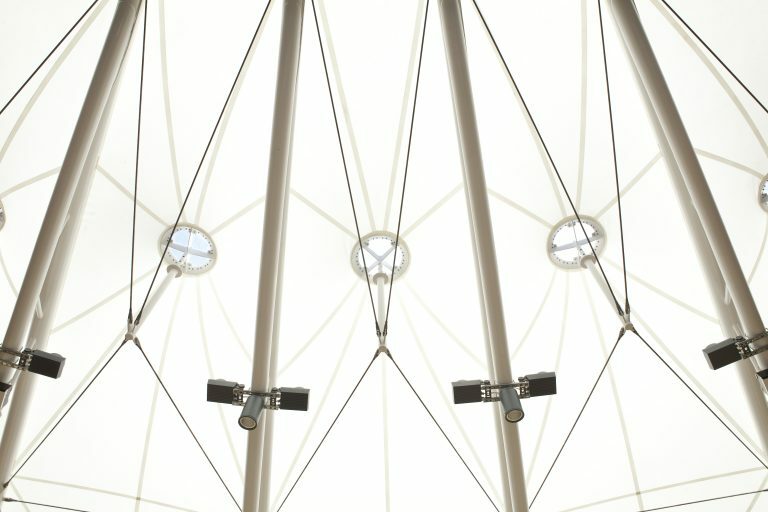 Normally we’re required to keep the masts of our structures absolutely vertical, so we were interested to see Mackenzie Wheeler’s visuals with four masts that lean over at whacky angles. 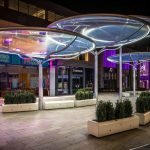 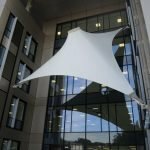 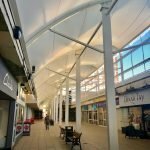 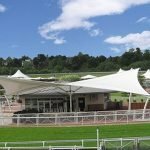 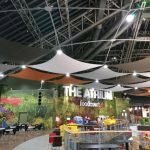 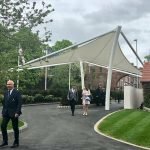 We patterned one 25m long fabric canopy to sit half way up the 10m high masts, with aesthetic ‘rigging’ in the form of stainless steel cables running between them.